There are countless reasons why you should work in a gaming company. For example, our games let us brighten the everyday lives of people around the globe. Since most game developers are also enthusiastic gamers, they feel extra passionate about their jobs and strive to instill other gamers with the same excitement that they feel for their favorite titles. When we identify with our jobs so strongly, the border between professional and private life starts to blur. This is an especially important issue for Generation Y, which is heavily represented at Goodgame Studios, where the average age of employees is 31 years old. We therefore want to help our employees balance their private and professional lives as best as possible. This is where our feelgood team comes into play. They offer an attractive package to all our Goodgamers who invest so much time and energy into their jobs. This package includes personal and individually tailored support for employees, an all-encompassing feedback system, and of course a few cool benefits that sweeten the employees’ everyday work and help them to properly unwind in their free time. 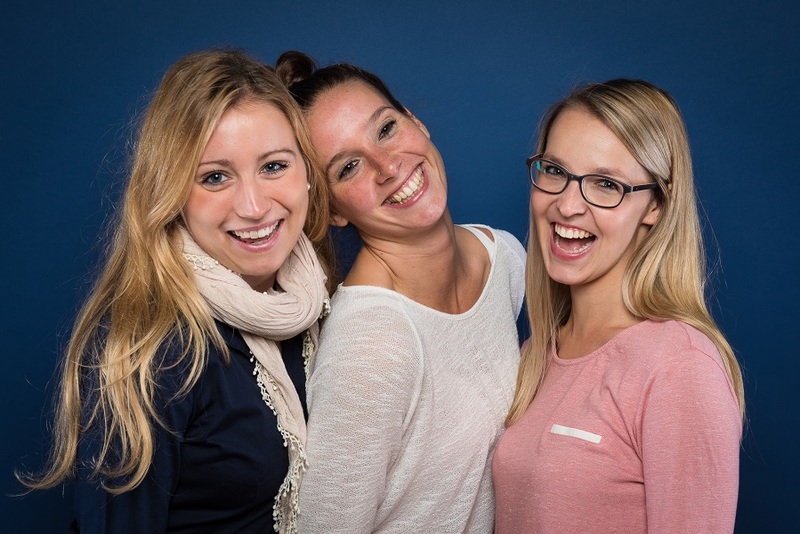 Our feelgood team consists of Merle (center), Laura (left), and Julia (right). These ladies work hard to make sure that every Goodgamer in the company feels as comfortable as possible. One of Merle’s tasks is addressing employee feedback. This is either submitted anonymously via the iFeedback terminals placed around the company, sent via email or chat, or discussed in person. “Of course I don’t just hear positive things, but when we manage to translate feedback into positive change, the response we get in return is even better. That’s why this job is so much fun for me,” she explained. A passionate Tae Bo trainer, our sports manager Laura is practically made for her job. Along with leading her own course, she organizes an extensive sports program with courses that take place in the company gym and with external partners. “I truly believe that exercise is the best way to balance out a desk job. When you really get your sweat on after a long day in the office, you can clear your head and do something good for your health at the same time,” said Laura. The Goodgame Studios’ sports package includes a total of 20 courses such as kickboxing, climbing, soccer, and yoga. The third member of the team, Julia, is likewise responsible for the health of her colleagues. For example, since most of us spend our workday sitting at a desk, she decided to organize a course that focuses on strengthening your back. In addition, GOODBreak, a 20 minute stretch workout for body and spirit, is regularly held during lunch break. “Employees who want more can also visit our masseuse to get any remaining tension worked out of their necks,” she said. Julia is also in charge of expanding our benefits package, such as by forming new partnerships with external gyms, since our 1200+ colleagues are always approaching the team with great new ideas. There’s no doubt that Merle, Laura, and Julia are a great team, and their positive energy touches the entire company. Their various feelgood campaigns let us recharge our batteries so that we’re ready to tackle our big projects head-on. This is important more now than ever as we’re currently working full steam ahead on new games that will see the light of day very soon.